I would recommend this property if some improvements were made, such as new settees in the lounge area, bathroom and bedroom refurbishment, improved lighting in the kitchen and some redecoration, both inside and outside.The heating system is complicated to say the least. However the owners have given a lot of thoughts to make clients feel welcome. We had a lovely weeks holiday in September 2018 The cottage is beautifully located in St Mawes, which has many facilities. 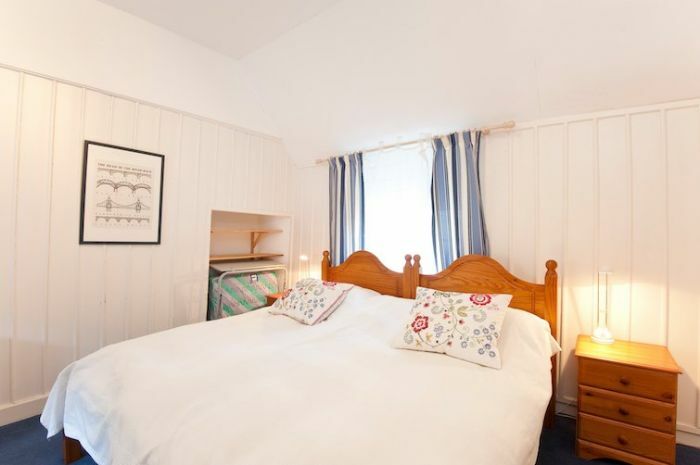 The cottage is comfortable, cosy and clean. This was our second stay at Manor cottage and after falling in love with the cottage and St Mawes last year we were not disappointed. Manor cottage has everything our family needed, beautifully clean, extremely comfortable and the best locations in St Mawes! We?ll defiantly be back next year. 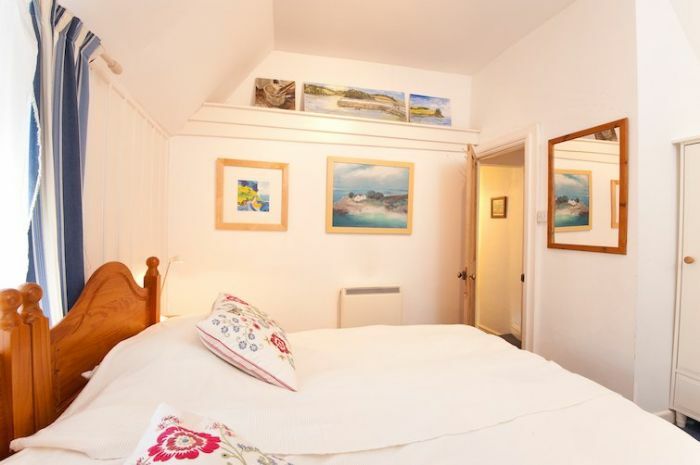 The cottage is an ideal place to stay in St Mawes. It overlooks the harbour and is an excellent viewpoint , with all local amenities within easy walking distance. Great location, right on the harbour, ideal for sitting and watching the world go by. 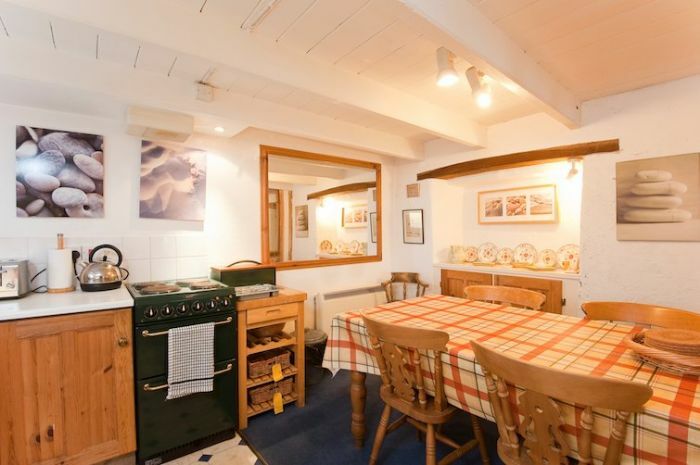 Spotless cottage, very well equipped. Lovely welcome package. Excellent information sent went booking, all you need to get around and recommendations for food. Cannot praise the food/service at The Idle Rocks enough, so good we dined there twice. Good food at The Tresanton but we felt it was not as good as The Idle Rocks. Lovely boat trip to Falmouth. All you could require in was in St Mawes, chemist, post office, co-op and eateries. Will definitely be back again. The position of Manor Cottage, was as described, facing a harbour and surrounded by natural beauty. It has a small area to sit outside and look at the world go by. Unfortunately we had rain so could not do this, instead sat indoors in the lovely window seats. If self catering the COOP is almost next door and was well stocked. We did cook in on some days and we were disappointed there was no microwave as this was listed as available. I would have expected a hairdryer to be available, I had to spend money to buy one. The ferries coming and going outside were tempting but we considered them very expensive. St Mawes is a small area with little competition and we found the eateries expensive. Reply from Cornwalls Cottages on behalf of the Owners Thank you for taking the time to write this review. We have checked with the housekeeper regarding the microwave and she confirms that there is now a new microwave at the property. Unfortunately a fault occurred with the previous one just prior to your arrival and she has asked me to pass on her apologies to you for the lack of microwave during your stay. The cottage was not previously listed on our website as providing a hair dryer but there is now one at the cottage for future guests.Thank you so much for your feedback. We first stayed in St Mawes in 1972 and have regularly visited the village over the years, originally with our children and now as a walking venue. The village has changed little over the years and any changes have been largely for the good - for example, the old fire station in the middle of the village was an eye-sore but has long since been relocated. Manor Cottage was better than we expected. The sitting room was cosy and comfortable and the kitchen and dining area was well equipped, clean and nicely designed. Upstairs there are two good sized bedrooms. 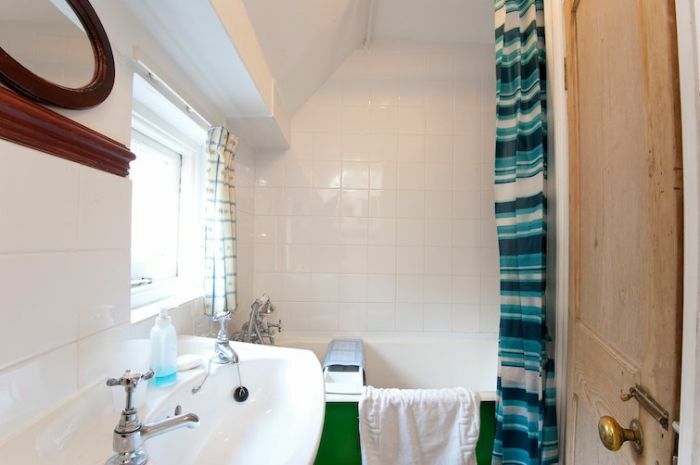 Our only comment is that the bathroom is very small, but it is an old cottage and so large bathrooms are unlikely ...... The little sitting-out area was a boon and enabled us to enjoy the passing 'people traffic' - most of the cottages in the centre of the village have no sitting out area at all. We'll certainly be back and Manor Cottage will be one of our first for an availability check. One minor point is that we could not find the 'utility room' to the side of the property ! We had a super time we loved Manor cottage it has the perfect location and was a beautiful little home for the week. We will definitely be visiting again! We have enjoyed many holidays in St Mawes in various cottages over the years and stayed at Manor Cottage once before. We chose to return as my husband is now seriously ill with limited mobility so the harbour front location afforded him the ability to enjoy the shops and restaurants without having to walk up any hills. We also enjoyed the view from the bedroom window seat. The beds were very comfortable and everything was immaculately clean. 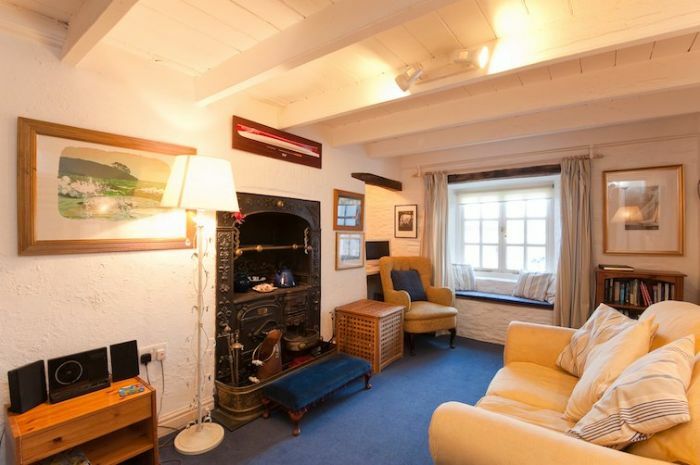 A really delightful cottage tucked away right by the harbour. It has kept its original charm whilst offering more modern comforts - also true for St.Mawes itself. Ideally located with a close view of the water, and very convenient for the little shops (and Co-op) and eateries. If anyone needs gluten-free can highly recommend Taylors cafe in the arcade. Maybe not ideal for those wanting complete quiet, because it's by the road, and the harbour is enjoyably busy (you can sit in the sun outside the cottage and enjoy the activity). Fairly well equipped (dishwasher, washing machine), and lovely decor. Bit of a hassle not having wi-fi (but the pubs had it), and slightly disappointing to find we couldn't light the range, but these were very minor compared to the great location. And it was good to know that the housekeeper was near by if needed. Lovely to be welcomed with a card and bottle! Thank you very much. We loved our stay in this historic fisherman's cottage, full of character. 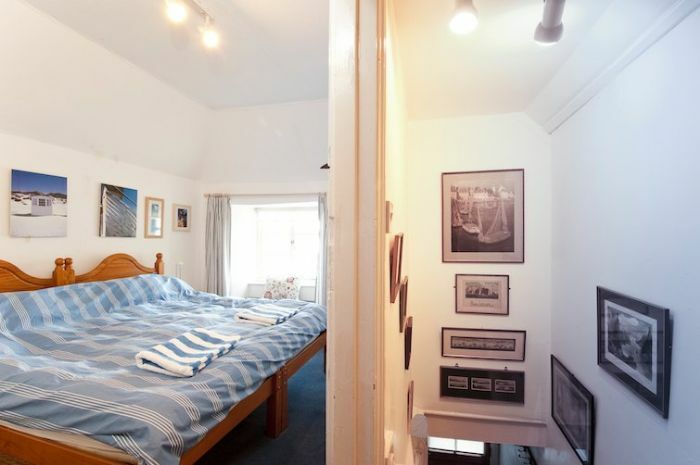 It was cosy, yet light, with whitewashed walls and very attractive cushions and pictures. Fantastic position, with views of the harbour. A very relaxing place to stay - and we will definitely come back. We have used this property on several holidays. It's location by the harbour is excellent, with smashing views. Seating outside watching the world go by, we have often had people stop to talk and admire the cottage. Appears small from the outside, but opens up to a more than adequate living area. We arrived late at night and it was a lovely surprise to turn up to a warm cosy cottage. The Christmas wreath,tree,flowers and mince pies were such a lovely touch. We would highly recommend Manor Cottage and would without a doubt book again. My stay at Manor Cottage was everything I wanted it to be. It is in a superb position, it overlooks the sea and is close to shops should you need them, there are many places to eat and drink as well. Despite being quite late in the year I was able to walk for miles in the most beautiful countryside visiting Lots of interesting places. 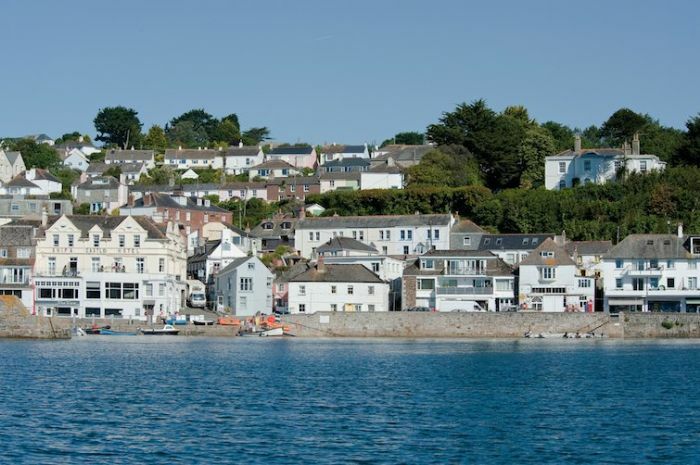 The ferry from St Mawes is just across the road and so easy to use it to get to Falmouth and Place where there are good places to see, eat and relax in. This was my first visit to Cornwall and Manor Cottage but it will not be my last, I loved it. Dad & I stayed here for a lovely week reliving family holiday memories and touring beautiful Cornwall making new memories. 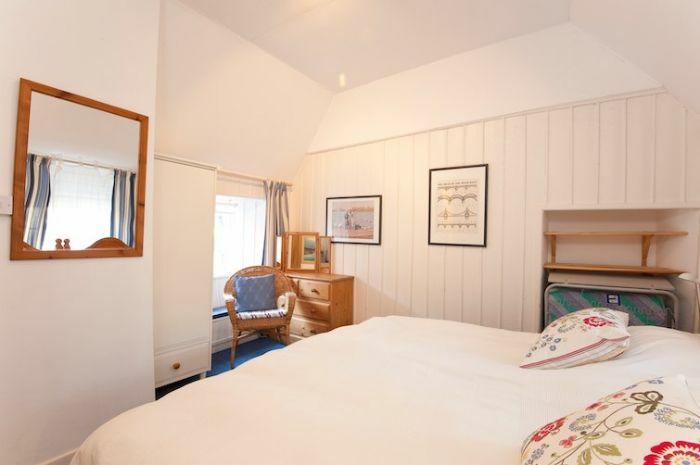 Manor Cottage is just perfect, homely and exactly what you imagine a cottage in St Mawes should be - very inviting and situated in the centre of the village where you can watch the sleepy world of a seaside village go past your window. We had a very pleasant week in Manor Cottage. Angela the housekeeper was great and very helpfully texted us to say the cottage was ready a couple of hours before 4pm which was a great relief after a long drive. The welcome card from the owners and the bottle of prosecco were also nice touches and were greatly appreciated, as were the supplies of hand soap, washing up liquid and dishwasher tablets. The cottage was very clean and well equipped. It is tastefully decorated and has the feel of a family residence. Despite being so close to the pubs etc on the front it was not too noisy at night and it is great to be so close to the sea, literally a stone's throw! Everything is within easy reach: the Co-Op is 3 doors away and there are several pub/hotel/restaurants of varying price/quality also extremely close. There are several good beaches in St Mawes but it is not your typical 'kiss me quick' type of resort - it is like walking into Boden catalogue - no arcades or candyfloss, just lots of people with their boats and plenty of kids. One of the best things about our stay was that we only used the car twice for trips on days when the beach wasn't feasible - there are several ferry services to Falmouth and the walk around St Anthony's Head from Place was stunning. The main downsides to Manor Cottage have already been mentioned by other reviewers, namely it doesn't have Wi-Fi (although this may appeal to those in search of a digital detox) and the mattresses on the beds are at the very hard end of 'firm' which may not be to everyone's tastes. I would add that the bench outside of the property is in need of repair and the downstairs does smell very damp, but being an old property on the seafront this is not surprising and I'm sure the owners will already be taking steps to remedy these issues as the cottage is clearly well loved and maintained. 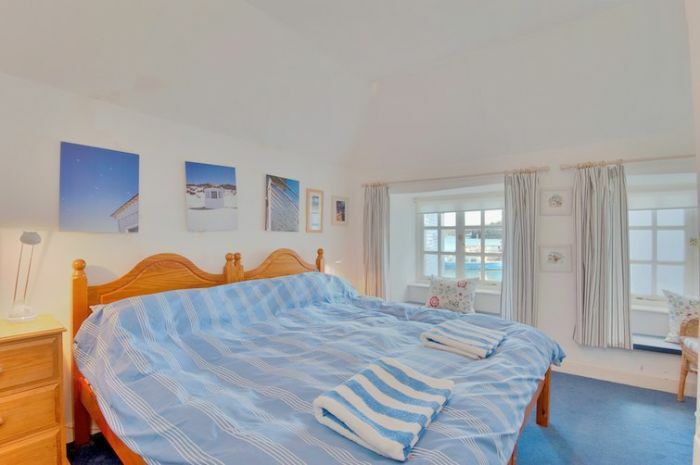 We would not hesitate to return and recommend it to anyone in search of a peaceful seaside retreat in a pleasant property with plenty of character. We've had a wonderful week in Manor Cottage which is beautifully decorated, there's lovely art hanging on all of the walls. Although it is a small place it is all laid out well. The Double bed is very comfortable and the view is amazing (the other beds we didn't test). Everything was clean and well prepared when we arrived, beds made up nicely and large soft towels for everyone, there were even fresh flowers and a bottle of prosecco waiting for us. We didn't do much cooking as there are plenty of places to eat in the village, our favourite was The Watch House. But there is everything in the kitchen to do your own cooking. The coop is just 3 doors down and open from 7 to 10 every day. 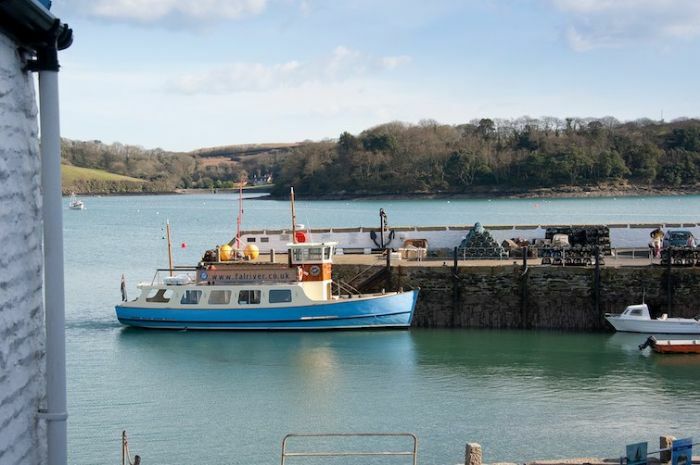 It's a great location for exploring the Roseland peninsula and the river Fal. We did not have a car and we got around very well with the 6 day Muscle Card on ferries, bus and train. 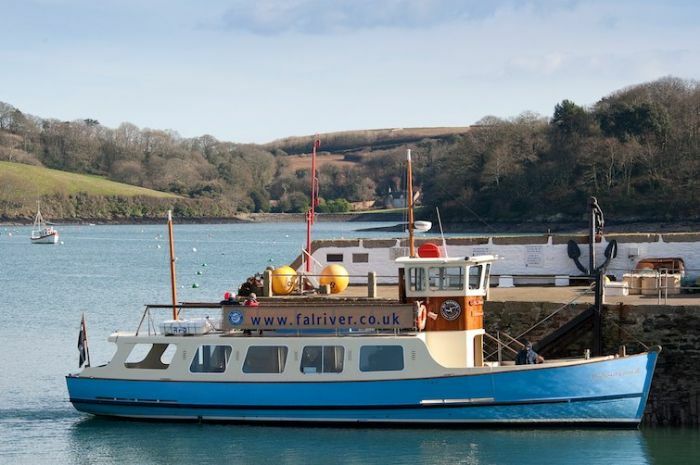 The ferry and bus only runs till aruond 6 but there is a water taxi service (not quite cheap though) to get you back from a dinner in Falmouth, Flushing or at the Pandora Inn. Booking and communication with booking agency and housekeeper was very easy and good. Lovely cottage in a great position. A lot bigger than it appears from the outside .bathroom small but perfectly serviceable. Only fault we could find if anything was the condition of the mugs, which really do need replacing,we bought some to use otherwise we cant wait to return. The cottage was clean,comfortable and perfectly placed to explore the area. Local amenities and services were nearby . The bedrooms were both surprisingly large . Met all our expectations, exceeding many, from Angela the housekeepers call to ask if she could supply any items ready for our arrival to the text telling us we could access the cottage early as the change over was completed. Being right on the harbour front we were ideally placed to witness the drama of the 'Gale at High Spring Tide' in complete comfort and safety. LOVED our stay. Ideal location in the heart of such a beautiful village- so simple to pop to the bakers, post office, butchers etc. Great to watch the activity in the harbour, yet tucked back so you still feel private. Enjoyed some glimpses of sunshine sitting on the front patio bench. Cosy sitting room and ideal kitchen set up to feed the family whilst still enjoying the view. Bedrooms are spacious and absorbed small children and tired parents easily. Especially love the views from the front bedroom. Good sized towels, and nice bedding. We can't wait to stay again - summer or winter. We spent a wk in the cottage. It is a lovely pretty cottage.rooms quite big.plenty of room and storage. Location and views are amazing. Would love to stay again. We have just returned from our stay at Manor Cottage and we were thoroughly impressed with the whole package. The cottage was beautiful and special thanks to Angela the housekeeper who went the extra mile to make sure our holiday was perfect! Nothing was ever too much trouble for her and she made sure that the cottage was immaculate upon our arrival. We will definitely be returning. We booked this cottage after seeing photos online, when we arrived we were some what shocked, this cottage is very grotty and dirty and not at all like the pictures, the whole place needs to be renovated. The bathroom is very grotty and dirty and really needs a complete make over with new toilet, bath and sink and new flooring. The kitchen is again very grubby and in need of decorating and updating. The carpets throughout smell awful and need a good clean, the sofas in the living room and very dirty and smelly. the beds need new mattresses as all four of us ended up having bad backs because they were so hard.the whole place needs to be painted and have a little bit of time and love spent on it. The location is amazing as its right on the harbor, and St Mawes is a very beautiful place. 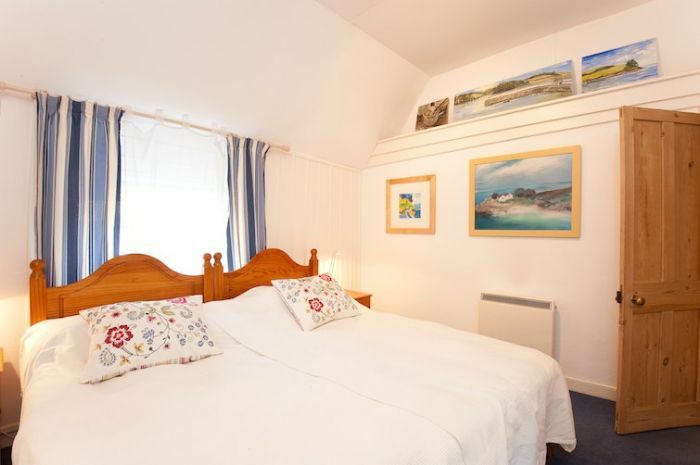 we felt that the cost of renting out Manor Cottage was very very high when you see the condition of it, and we were grateful that we spent all day out of the cottage, we would visit St Mawes again but would certainly not stay at Manor Cottage. We loved this little cottage. The position was central for everything St. Mawes had to offer, and it was quieter than we had expected given its location. The little patio, with the bench at the front, is lovely for people watching, and almost everyone who passes by stops to have a chat. It doesn't get the sun for long, but when it does it is the perfect spot for relaxing. Unfortunately, when we arrived it was to find a 10" nail, screws and other rubbish under the bench, and the cottage was not as clean as it could have been; the toilet seat in particular was old, cracked, and disgusting. The ancient green cooker had three knobs that just fell off, so only one hotplate could be switched on. The microwave was unusable due to the excessive rusting underneath the glass plate, and the badly blistered and cracking inside roof wall. The washing machine dispenser drawer was black and grungy, and the 'fridge needed a thorough cleaning and defrosting. Fortunately there is a Co-Op a few doors away from which we bought anti-bacterial cleaner and rubber gloves and spent nearly two hours cleaning and vacuuming. Not quite what we had expected after a long 8 hour drive! We also did not have any hot water, and after two 'phone calls and a text message to the housekeeper, a plumber finally arrived (unannounced) on Tuesday evening, to see what the problem was. And so, after four days without any hot water at all, (fortunately the shower is electric) the water thereafter was only warm. All of the above problems were reported to the housekeeper, who due to a family problem had apparently had to employ another cleaner to get the cottage ready for our arrival. I also spoke to the owner, who said that the toilet seat, cooker and microwave would be replaced. Apart from the bathroom, the upstairs was clean, though we did have a problem with lots of little moths in the back bedroom. 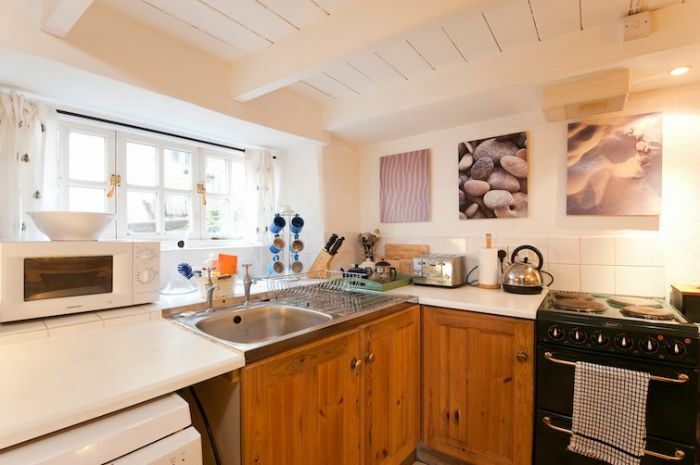 Would I return to this lovely little cottage?....Yes, without a doubt....because once all the appliances are replaced, and the cottage given a thorough deep clean it is a little gem. We booked Manor Cottage on the Friday, and arrived on the Sunday at about 5.30pm. We could have got there for Saturday, but thought it might be too rushed as it was so last minute. What a delightful surprise, a cute little cottage right by the harbour. We both fell in love with it. We have only stayed in Falmouth before, and visited St Mawes by the ferry. It was comfortable, and so quiet in the evenings, we were a little worried that it wouldn't be. We ate out mostly, The Watch House ( recommended ) The Victory, and the Quarterdeck at St Veryan, wonderful. We also found the Hidden Hut near Portscatho and had a delicious lunch. We visited Lanhydrock House, the gardens and house at Trelissick, and the beautiful church at St Just. Everything was perfect. Sitting on the bench in front of the cottage in the morning with coffee, and in the evening with a glass of wine, just watching the world go by was the best !! A well needed rest for us both, and we can't wait to return. Thank you. The cottage is in an excellent location this is our second visit in 3 years. Cottage itself is very basic interior needs updating yo reflect price which has gone up considerably since last stay. Lots of dust And cobwebs. 30 percent of bulbs working during our visit. 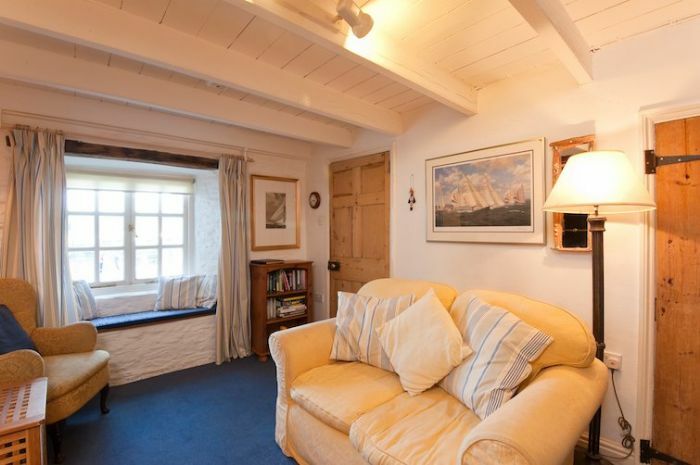 It has an area outside the cottage where it's delightfully to sit, one of the selling points for the cottage. The seating outside is perished and dangerous it needs replacing or removing. It's a shame as when we visited it was hot it would have been fantastic to be able to sit out in the evenings comfortably especially with having a young child. 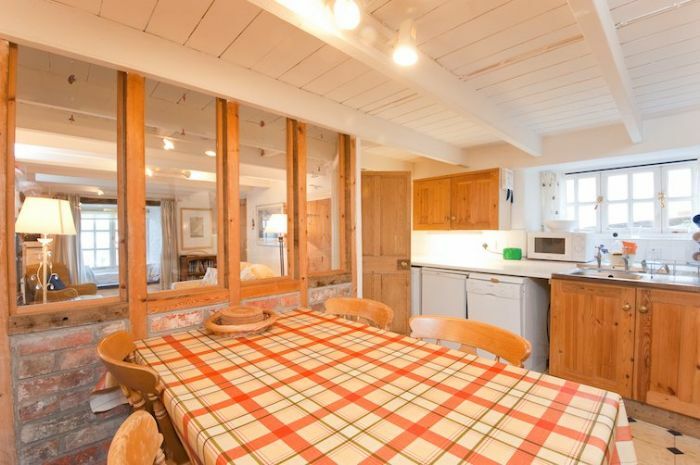 For this cottage you pay for location we would stay again for that reason. Manor Cottage was delightful and provided a warm and cosy space for Christmas. The Cornish Stove warmed the entire cottage and provided a wonderful focus during the long winter evenings. 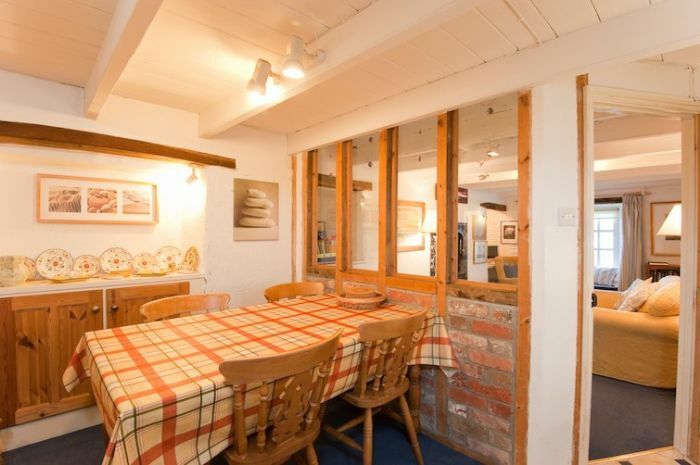 Obviously a fantastic location, both in Winter and Summer, with original features and comfy furnishings. A charming, tiny, well appointed quayside cottage in the delightful fishing village of St Mawes provided exactly the right welcome for our little holiday. It had everything we wanted, except parking right outside, but that in the end was an advantage too! 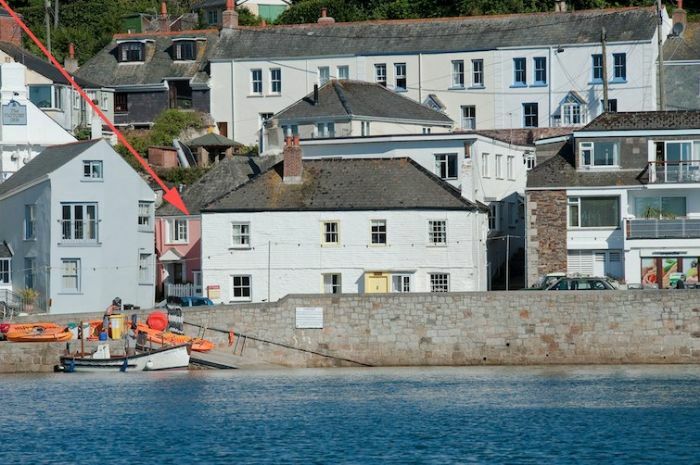 Choice of pubs and restaurants in easy walking distance, and the ferry to Falmouth too. Highly recommend it. Lovely cottage with veiws to match. Needs work done to the ageing cooker,sooner than later. Couldn't figure out how to operate the washer/drier machine, even with the instruction manual, and i'm no fool. Watch the steps at the top of the stairs, and watch your head on the way down at the bottom. Even with its minor faults its still a terrific little cottage at a reasonable price and i would heartly reccomend it to anyone. I am hoping to book it again next year with the sun still shinning. Manor Cottage is right in the centre of St Mawes and has retained some beautiful character features and clever design touches. From the kitchen diner at the back of the property, views are maintained of the harbour through a cleverly designed glass screen. 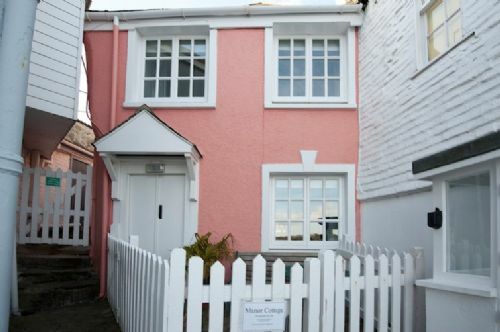 The house is just twenty metres away from the harbour and quay area with its shops, pubs and waterfront and within easy reach of the beaches. 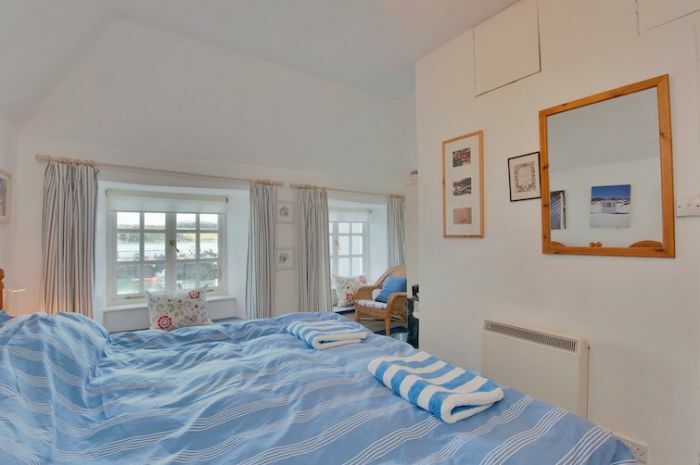 It is ideally placed for those who want to be in the centre of St Mawes. 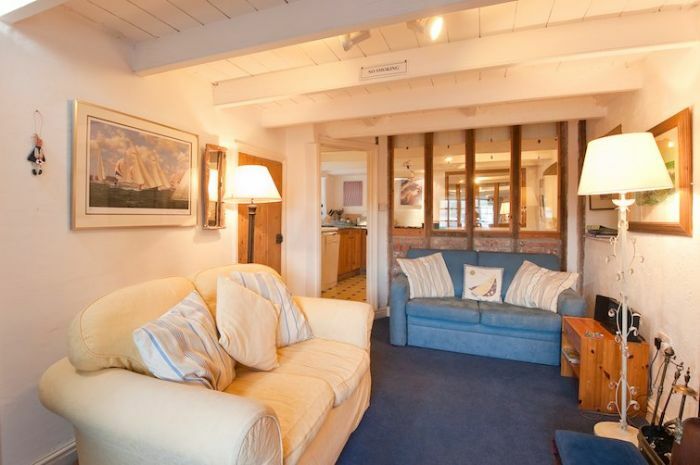 There are great views over the harbour and across the bay from the living room and master bedroom. 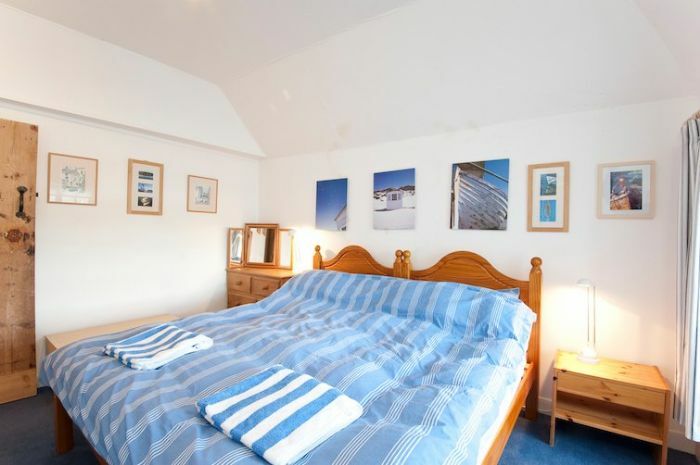 The cottage provides accommodation for up to four people. 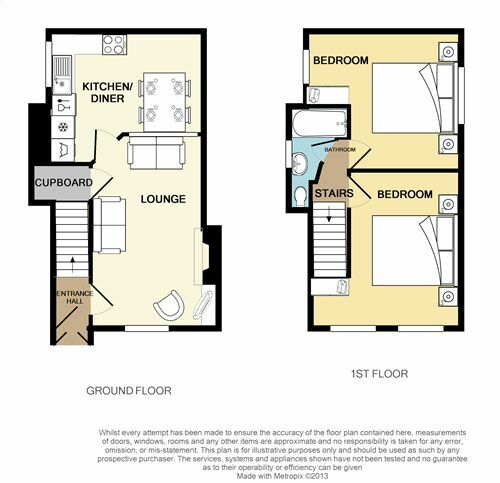 There is a lounge to the front with a kitchen diner behind it and on the first floor there are two double bedrooms each made up with two single beds positioned together. There is a Victorian cast iron bath with a shower over. 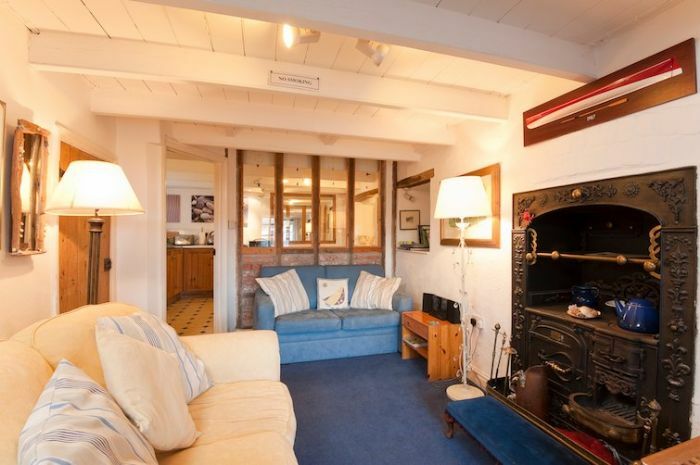 Ground floor: Lounge with harbour / sea views, kitchen / diner. First Floor: Two double bedrooms each with two single beds which, on request, can either be made up as single beds or as double beds. Bathroom with handheld shower and over bath shower & WC. Exterior: Small terrace to the front of the property with a bench and table; this is a real sun-trap in the summer! Heating is via electric and night storage heating radiators throughout. There is a flatscreen freeview TV with DVD player in the lounge. The fully fitted kitchen includes an electric oven and hob, fridge with freezer compartment, dishwasher, microwave, kettle and toaster. There is a combined washing machine and tumble dryer. 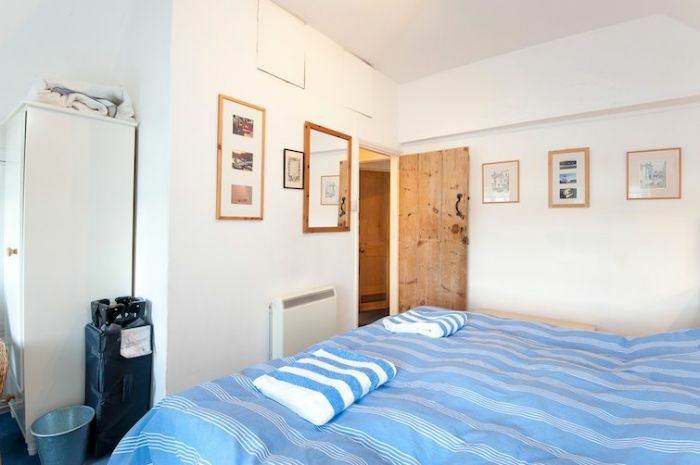 Electricity, heating, bed linen and towels are all included, but you will need to bring your own beach towels. There is no parking at the property, although you can stop in the road close by to unload and load your car. Car parking is available in the safe, nearby main car park which is only about a 2 minute walk away. Alternative car parking is also available on the quay and on the sea front during the winter months. Children are very welcome and a travel cot & high chair are provided. We regret that dogs are not permitted and no smoking is allowed. Please note that, as is usual in a cottage of this period, the stairs to the first floor are quite steep. Arrival/departure is on a Saturday.